Previous Customer? Refer us and receive a $50 gift card! If you have cracks in your foundation, foundation settlement, or sunken concrete surfaces, it's important to get effective repairs as soon as possible. DBS are the local experts for foundation repair, concrete leveling, and basement waterproofing in Minnesota and Wisconsin, and we can help you get the right solutions for your home. By delivering on a promise of great quality and service, DBS has earned and maintained a position at the very top of the industry. Since every home is different; it takes a personal touch to effectively solve unique problems. At DBS, that personal touch is something you can count on every day. If you're interested in foundation repair, basement waterproofing, or basement finishing services for your home, call us today at 1-218-525-0720 or contact us online to get started. We offer free estimates on all our work in Duluth, Superior, Minneapolis and the nearby areas. At DBS, we offer permanent repair options for foundations that are experiencing bowing or buckling walls, foundation settlement damage, crawl space structural issues, and more. Our solutions provide structural stability in both residential and commercial structures, regardless of how old the foundation is. Our patented, proven products include push pier systems, helical anchors & tiebacks, helical piles, and more. As an authorized Supportworks dealer, we have access to industry leading products and training. Our experienced professionals are fully trained and certified, and we will always take the time to inspect your home and recommend a customized solution for your specific problems. 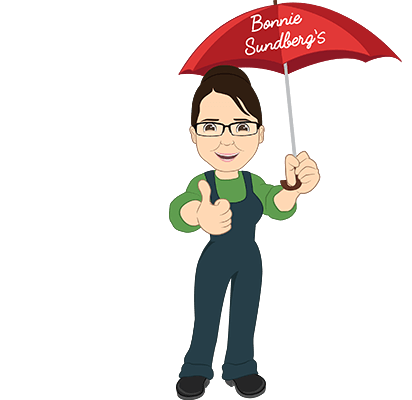 When you choose us for your foundation repair or basement waterproofing project, you can count on an effective, long lasting solution and fantastic customer service. Once your foundation is stable and safe, it's time to consider transforming your basement into the finished space of your dreams. DBS offers basement remodeling products and services to finish your entire basement, including basement wall panels, basement floors and drop ceilings at the best price and value. Let DBS transform your basement into a custom living space that you'll fall in love with! Click here for more information on getting the most out of your basement and to find out more about the TBF Basement Finishing System. By Edward (Mr. Ed) C.
Foundation problems are a major concern for any homeowner, as they can have a significant effect on a home's value and even safety. At DBS, we specialize in eliminating these problems with expert repair services. Whether you need foundation repair, concrete leveling, basement waterproofing, or complete basement finishing we have you covered. Call us today at 1-218-525-0720 or contact us online to get started on foundation repair or basement finishing services for your home. We offer free estimates on all our work in Duluth, Superior, Minneapolis, Cloquet, Two Harbors, Hermantown, St. Paul, Esko, Virginia, Ashland and throughout the surrounding areas.